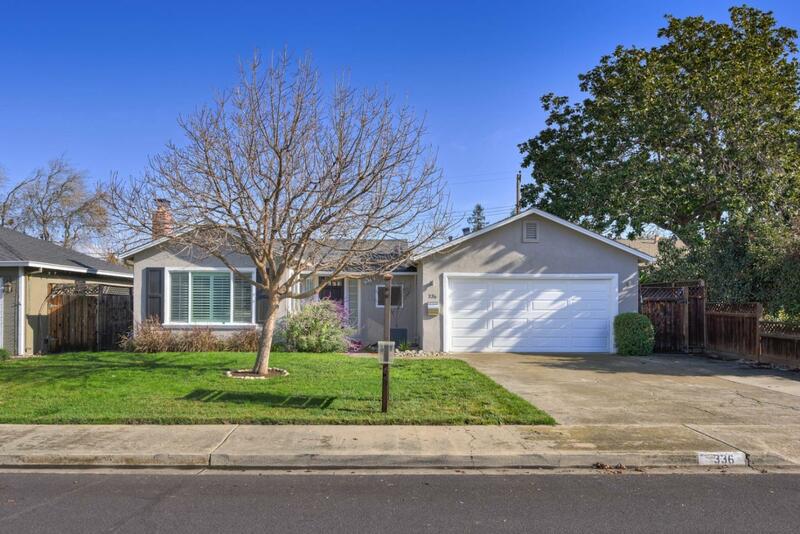 Recently remodeled, move-in ready home with updated kitchen and baths in a great location just minutes to vibrant downtown Campbell and Willow Glen, and a short stroll to neighborhood amenities including The Pruneyard shopping and dining, Whole Foods and Los Gatos Creek Trail. This single-level home with clean lines and spacious living areas offers a light-filled kitchen with stone counters and stainless steel appliances, an open dining/living room with cozy fireplace, and large family room with a glass sliding door leading to a paved patio/lawn area. Bedrooms feature spacious built-in closets with organizers and new lighting. The beautifully updated main bathroom boasts a double sink vanity and tiled shower/tub combo with a multi-spray panel. Other highlights include a gorgeous updated second bathroom, indoor laundry closet with washer/dryer, hardwood floors, skylights and more. Close to schools, highway access and Tech companies including eBay and the proposed Google Village.